Peas. Sweet potato oven baked chips. 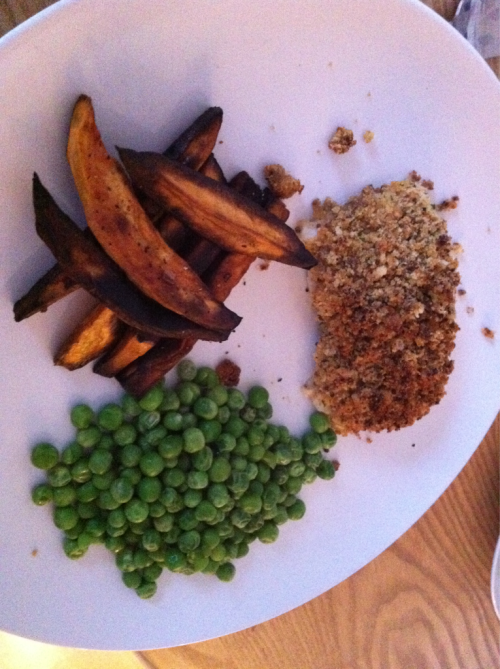 Baked haddock with home made bread crumb topping. Ingredients were a wholemeal bread roll, two teaspoons whole grain mustard, one teaspoon of Flora, one teaspoon of olive oil, salt, pepper, paprika and parsley.